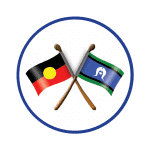 Save the Date for the Australian Commitment to Permanency Conference for Children and Young People on Monday 26 November 2018, 11.30am-12.45pm at Australian Parliament House, Canberra. Adopt Change believe that every child has the right to grow up in a safe, nurturing and permanent family home, and that all families need the appropriate supports for children to thrive. As part of National Adoption Awareness Month, hear updates from Adopt Change; Hon Michelle Landry MP; and Julia Banks MP on outcomes of the National Inquiry into Local Adoption. Visit Adopt Change for more info.